This tenth season of the KHL has provided an unexpectedly tense final few weeks of the regular championship, with several teams involved in the intrigue over who books a precious playoff berth. 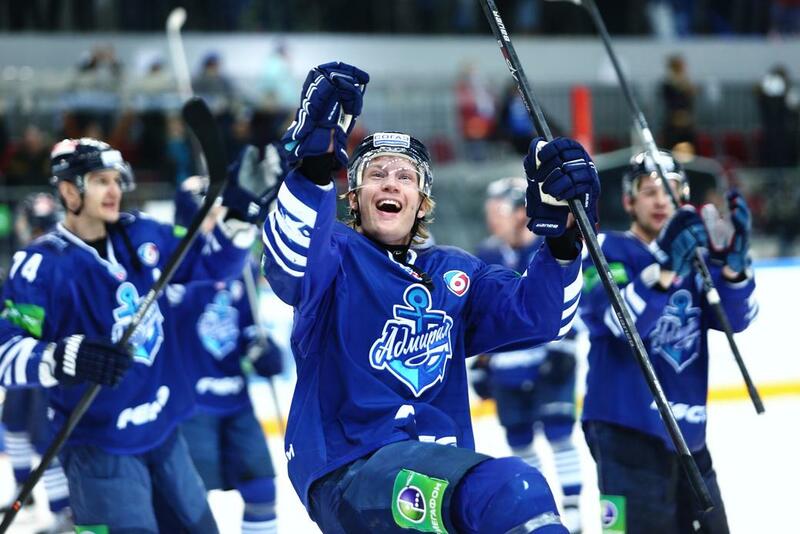 With this in mind, khl.ru looks back over the years to some of the teams who were only expected to play a minor role in the drama, but who nonetheless battled their way to post-season center stage, grabbed their moment in the limelight, delighted the fans and confounded the pundits. When the second KHL season got underway, it is easy to imagine how unfancied was this team from Balashikha out in Moscow Region. A mere glance at the name, “Ministry of the Interior,” and the previous season's 18th-placed finish was enough to tell any new fans that HC MVD was far from being a giant of domestic hockey. And yet, under the guidance of then-unknown coach, Oleg Znarok, this David was to slay several Goliaths throughout the season. The boss knew he had the nucleus of a strong team, with the likes of Yury Babenko and Alexei Kudashov providing valuable experience, and added some shrewd foreign acquisitions, such as Matt Ellison and Martin Strbak. The team embarked on a giant-killing spree which only ended in a tense, narrow defeat at the hands of Ak Bars in the deciding seventh game of the Gagarin Cup final series. With the benefit of 20/20 hindsight, Ugra's impressive debut season was more unforeseen than unforeseeable. 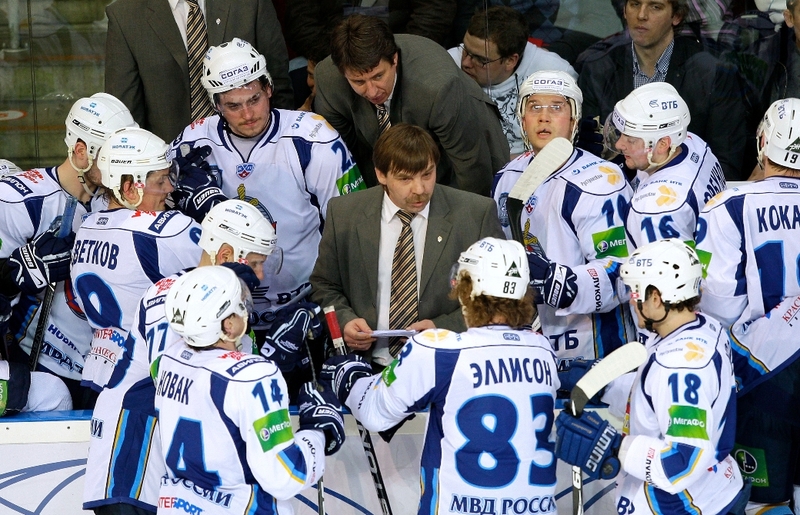 The team from Khanty-Mansiysk had been a force in the VHL, had assembled a well-balanced roster, and boasted an experienced coaching staff under Sergei Shelepev. The very first outing in the KHL, however, was a harsh lesson in reality. The Saint Petersburg Army Men inflicted a 6-2 hammering on the newcomers, and the “Mammoths” were forced to lick their wounds and learn their lessons. Of course, the regular season is a marathon, not a sprint, and under Shepelev's wise guidance Ugra steadily and relentlessly improved. The debutants won more games than they lost, and ended the “regularka” a comfortable fifth in the Eastern Conference, a full 23 points ahead of the dreaded ninth place. The post-season ended with a 2-4 defeat to Magnitogorsk, but the new boys could look back on their first season with pride. The KHL was not even in the planning stage on the previous occasion that the “Tigers” from the Far East graced the playoffs, and during the first three seasons of the League's existence, Amur remained firmly chained to the Eastern Conference basement. Few expected anything at the Khabarovsk club to change when Hannu Jortikka arrived to take charge. The Finnish specialist had a good record, although his most impressive achievements – a World U20 gold and an Olympic silver – were over a decade back. 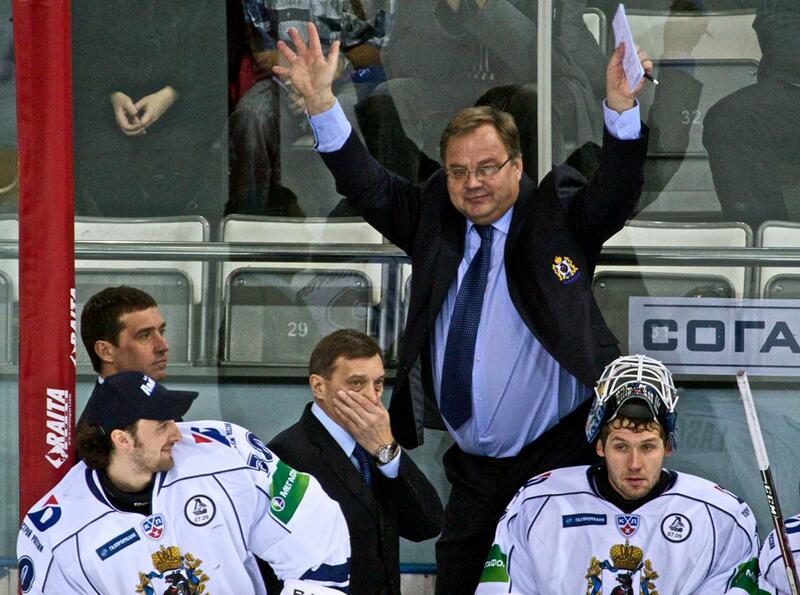 Nonetheless, Jortikka revolutionized hockey in Khabarovsk. He instilled an energy and a relentless streak into his players, and with rising stars like defenseman Alexander Osipov and forwards Jakub Petruzalek and future world champion Sergei Plotnikov, the Tigers crept into the playoffs. The post-season came to a swift end at the hands of the eventual runner-up, Avangard, but in this 10th year of the KHL, Amur still has a mathematical chance of grabbing that prized 8th place in the standings – a position currently occupied by the Omsk Men. The Zagreb team was surely one of the most exotic newcomers in the League's history. The men from the town on the Sava river had been competing in the Austria-based EBEL League, and very little was known in Russia about the club, apart from the fact that USSR legend and three-time world champion Vyacheslav Anisin spent a season there late in his career. Nor did the roster help lift the veil of mystery. With the notable exception of Maurice Richard Trophy winner Jonathan Cheechoo, few of the names of those gathering in Zagreb had made significant waves, so it was with great curiosity that the KHL watched the Croats opening game. And what a debut that was – a resounding 7-1 thrashing of CSKA, after which the small, compact rink in Zagreb acquired a reputation throughout the League as a very tricky place to play. By the time the regular season was over, Medvescak had secured 6th place in the Western Conference, above not only opening-day victim CSKA but also Lokomotiv. When the playoffs came, however, the Southern Slavs fell to the Western Slavs of Lev, the eventual runner-up. While the “Bears” were surprising all with their exploits at the Mediterranean end of KHL territory, over by the Pacific an even bigger sensation was brewing. Admiral of Vladivostok was the first team in the history of the League to be created completely from scratch, made possible by an expansion draft. Today, it seems hard to believe that clubs would voluntarily let go the likes of Enver Lisin and Niclas Bergfors, but these were among the “crumbs from the rich man's table” which fell the way of the Far East club. As might be expected, it wasn't the smoothest ride - Hannu Jortikka was unable to recreate the magic from his spell at Khabarovsk, but Sergei Svetlov rallied the troops and five victories in the last six games of the regular season brought them into the playoffs. 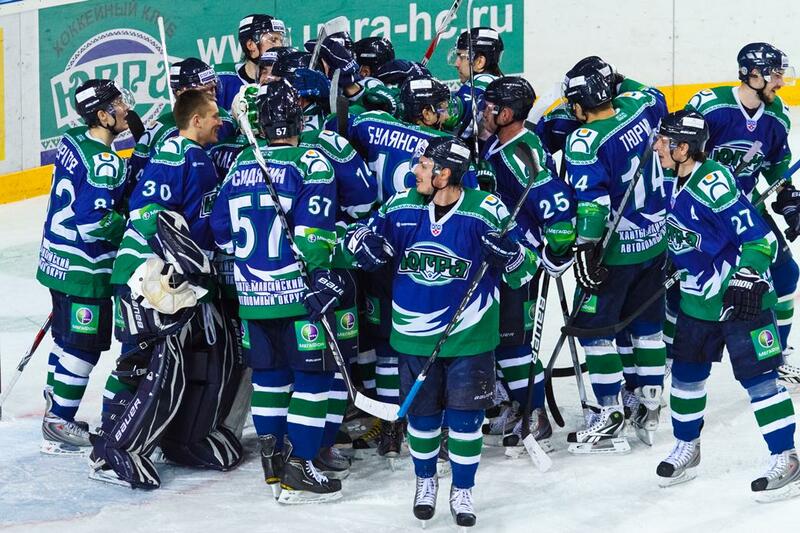 The Vladivostok team's impressive debut campaign ended with a series defeat to the eventual champion, Magnitogorsk. Some might say that foreign newcomers to the KHL have it easier than the Russian arrivals. It is true that the limit on foreign players does not apply, so there is at least one concrete advantage. But it is one thing to build a team at Slovan Bratislava or Jokerit Helsinki, where many decades of hockey passion has produced a deep well of local talent on which to draw, but is quite another to create a competitive team from scratch out in China, where the game is just another exotic foreign pastime. And yet, Vladimir Yurzinov Jr. somehow managed to do just that. And he performed this mini-miracle with no sugar daddy brandishing a blank check – he forged his multinational, multilingual team from veterans and ambitious but little-known foreigners who had struggled to find a club in the hockey heartlands. From an ambitious plan on paper to a formidable team on ice in less than a year – Mr Yurzinov proved he was a true hockey alchemist. For many years, the team from the Moscow suburbs attracted more attention for those occasions when the hockey stopped and the mass brawls began, and it is a long-standing tradition around the sporting world that a team which is on a limited budget, and is therefore unable to attract or keep hold of the most technically gifted players, cannot afford to be second-best when it comes to grit or determination. Nevertheless, the likes of Mirasty, Jablonski and Verot gradually made way for more “conventional” players, but the great leap forward came with the arrival of Valery Belov as head coach. The new man in charge was on his old stomping ground - Podolsk is his home town – but he brought with him a wealth of acquired wisdom and experience from his time with Zinetula Bilyaletdinov in Kazan. Soon the boss had forged a roster with a great team spirit and an enviable workrate, while the Kopeikin – Aaltonen – Kempe line, along with Jerabek, formed a lethal powerplay unit. 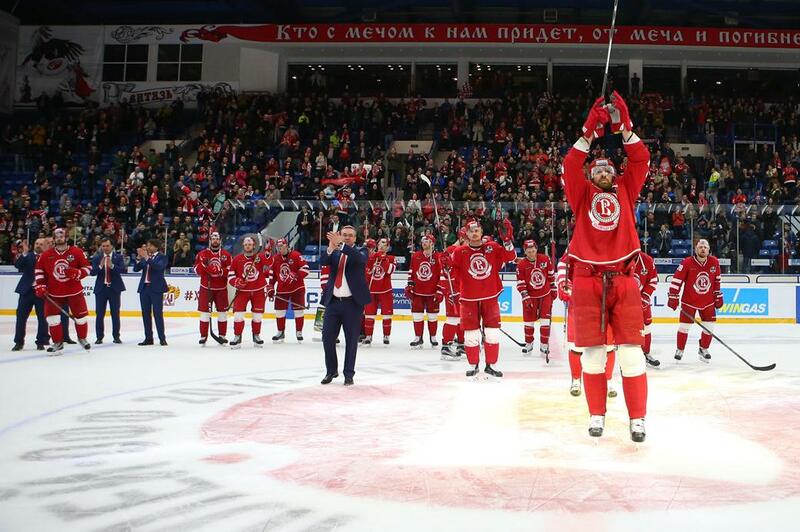 Vityaz marked its ninth season in the KHL by making its first ever appearance in the playoffs, and it took the eventual champion, SKA Saint Petersburg, to put an end to an amazing season.